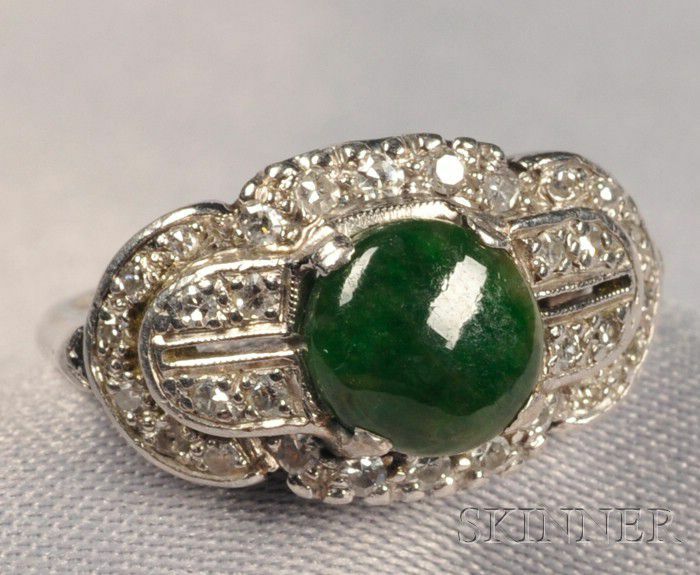 Platinum, Jade, and Diamond Ring, prong-set with a circular cabochon measuring approx. 7.40 x 3.00 mm, and framed by single-cut diamond melee, size 4 1/2. 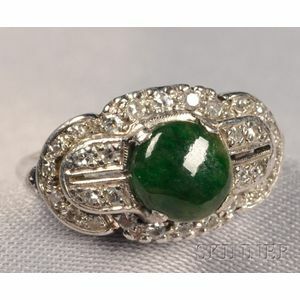 Center jade unevenly cut, possibly not original to mount, wear commensurate with age.